Okay I have to admit I'm not sure if I even like how this card came out? It is kind of growing on me but I'm still not sure if I like it. Maybe better with vintage cream cardstock and soft blush ink? My heart (get it heart, I used them on the card, boooo I know) just wasn't in it. 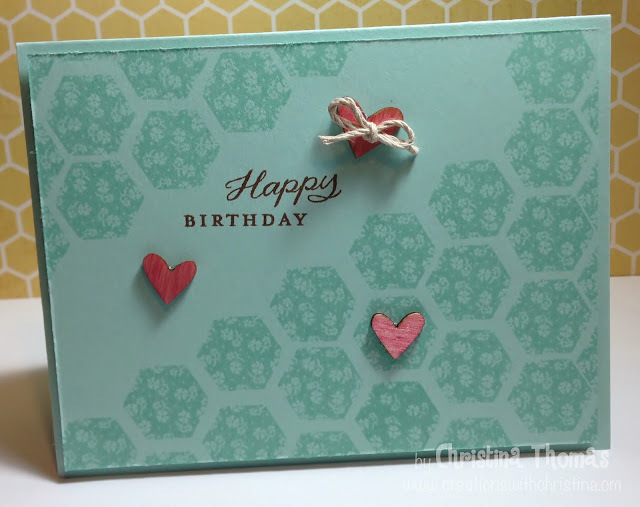 It did give me the opportunity to share with you the link to all the information when this set was released (Click here) and to share the video (Click here) on how to properly use the Stamp set and Die. Just wanted to let you know you have become an enabler. I saw your card, then watched the PTI video and just HAD to have those stamps. And I'm not even a stamper. Love your card and all your videos.